From all the cherry blossoms and colourful blooms posted all over social media, it definitely looks like spring is in the air. But it seems there must be something "not quite right" with the spring breeze as there has been not just one but two reports of infidelity trending at the same time amongst the C-entertainment set! To think that this has come after the Zhang Danfeng scandal which is, frankly still fresh on everyone's minds. First up - Hong Kong singer-actor Andy Hui who suddenly found himself in the center of an explosive cheating scandal yesterday, called for a last minute press conference to apologize for his actions later on the same day.The singer admitted to cheating on his wife, Sammi Cheng - the pop superstar also known as the Cantopop Queen in the 90s. The pair has been together for 27 years and married for 5 so news of the affair was definitely much of a shocker for many. 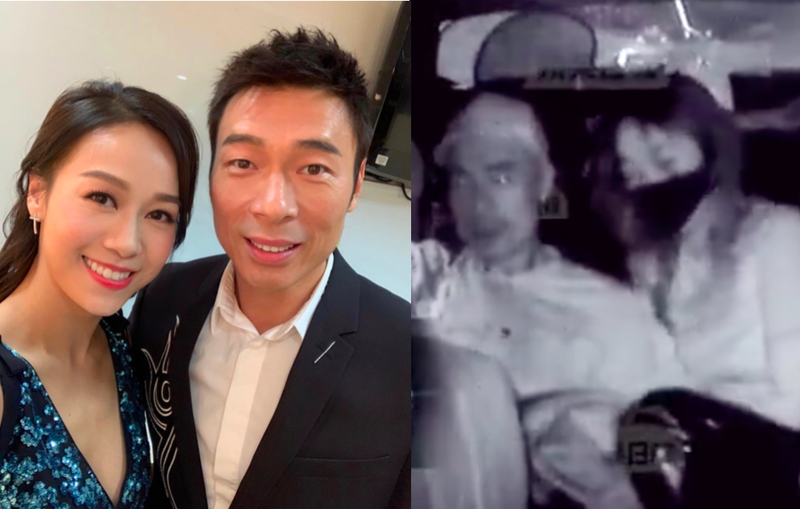 Earlier yesterday, Hong Kong media released a racy 16 minute footage showing the actor cosying up to Hong Kong Miss Asia Jacqueline Wong in the backseat(?!) of a taxi while coming home from a birthday party. It seems the pair exited the taxi at the same destination. I mean seriously, did they think media won't catch wind of this? Obviously not, I guess. Jacqueline is also in similar hot water with her partner, actor Kenneth Ma, who she's been dating for 3 years. Last year, Kenneth reportedly told journalists that he plans to marry the actress. That may not happen now as the footage reveals that it was Jacqueline who initiated the backseat hanky-panky that was splashed across tabloids yesterday. That's not to say of course that Andy isn't similarly guilty - he knows they're both attached to other people and should've just rebuffed the actress' efforts. It was painful to watch a visibly distressed Andy very tearfully apologising to his wife last night for the pain and humiliation his affair has caused. To be honest, I kept thinking about his 30+ year relationship with his wife going down the drain, made even worst by the fact that despite being celebrities, they are still people whose pain and suffering were splashed out for the public to see. In his latest Instagram post showing just a black background, the actor said that "this is a mistake that cannot be forgiven, and I dare not ask for forgiveness as even I cannot forgive myself". He also apologises again to his wife, Sammi, and has asked the public for some time and space (as they always do) to reflect and change. Since publication, the post has drawn much ire and angry words from Netizens as they lambasted the singer for his actions. Many fans were shocked as the pair has always been considered one of the industry's golden couples. Elsewhere, Netizens were afire after two screenshots supposedly showing a rather risque conversation between the actor Yang Shuo and an unnamed woman with the surname "Tseng" were circulated online. From the screenshots, it appears that the actor spent the night with the woman, after which a sum amounting to 10,000 RMB was transferred to the woman's account. In response to the allegations, the actor and his management studio vehemently refuted the claims, making a convincing argument that no one would purposely take screenshots to incriminate themselves now would they? Indeed, no one would. Mainland media soon hit back after the studio's denial, publishing two more new screenshots supposedly showing a conversation between the actor and another woman named "Huang", telling her to meet him in a Xi'An hotel room and that the room was registered under the name "Wang Cong". 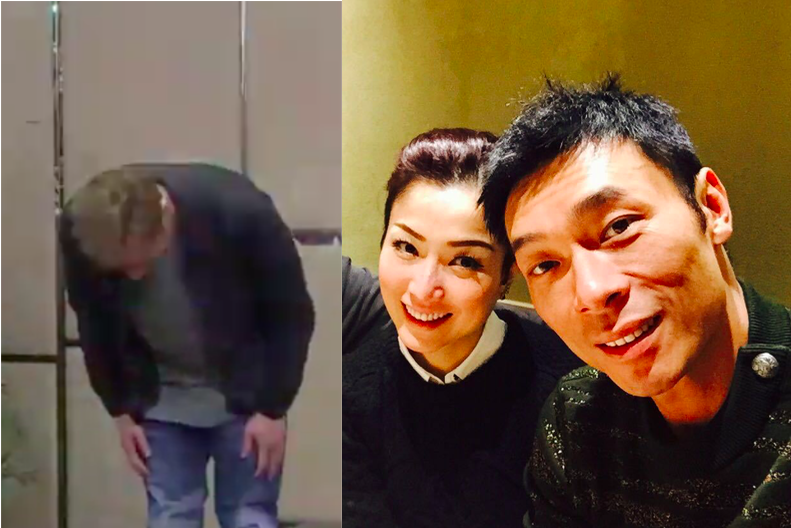 Apparently, the date also coincided with Yang Shuo's schedule as the actor was in town to attend an event. What sparked even more buzz amongst the public was that the manager was also named Wang Cong. Coincidence or no? Seeing that the studio management has yet to provide a statement regarding this, public opinion has rather been divided over the matter with some admonishing Yang Shuo while others reserved judgement saying that the screenshots were not proof enough - indeed we've seen how a mere tweak using Photoshop can work wonders to create a "new" story. Yang Shuo has been married to actress Wang Liwen for more than 8 years and just had, in fact, a grandiose celebration in autumn last year at Bali Indonesia. So if there's been any trouble brewing in paradise, why have a grand celebration in the first place? UPDATE April 17: Yang Shuo has tasked his lawyer to issue a statement strongly denying the cheating rumours circulating online and to ask people to stop further inciting the situation. All the allegations are false and further attempts to malign his reputation will be dealt with accordingly per the regulations of the State. And that's just some updates from Tuesday! I really hope the saying "when it rains, it pours" doesn't apply to this situation as it definitely takes away that "spring in your step" after reading about it all. Wow, these men (and women). The 3rd party is NEVER worth it. What comes around, goes around. They're only sorry because they got caught cheating. No pity whatsoever for them. I pity their significant other more. Best of luck to them.